How do we listen to music in 2014? Some surprises have been revealed by newly published statistics regarding the various players that share the music market. This is an opportunity to once more discuss the different music formats and share some related comments, namely regarding the issue of HD files (high definition or Studio Master). This news is a couple of days old and went almost unnoticed in France. For the first time since its creation, iTunes has experienced a decline in the number of music tracks sold on the US market: in 2013 purchases of single songs fell by 5.7% (source: Nielsen/ Billboard). Nevertheless, iTunes has a good reason to remain optimistic—it still retains more than 40% of the market when it comes to digital album sales. This decline may be explained more specifically by the development of music streaming—we are downloading less, but we are listening to more streamed music. Spotify, recently announced that it has 24 million users worldwide and 6 million paid subscribers. When it comes to Qobuz, this French service offers 15 million song titles and, more importantly, has the largest catalog—3,200 albums—of Studio Master-quality music. The Qobuz difference clearly stems from the richness and quality of the service’s catalog, in which you can also find many small record labels. The other small surprise comes to us from the French market. The Syndicat National de l’Édition Phonographique (an organization that protects French record industry interests) announced that sales of digital music increased during the first half of 2013; what is more surprising is that sales of music in physical formats did as well! Although we should take these figures with a grain of salt, this latter increase—of more than 5%—nonetheless demonstrates that physical formats are resisting the digital tide. Although CD sales have unrelentingly continued to decrease over the past several years, the decline is slow and may even drop less quickly than predicted. Perhaps we starting pulling CDs off the shelves a bit too quickly. All it takes is dropping by a big-box multimedia store to witness the amplitude of this disaster; the absurd thing is that the vast majority of albums continue to be released in CD format. Vinyl is continuing to make gains (sometimes spectacular ones) but remains very far behind all of the other formats. In the UK, vinyl sales reached their highest level in 10 years in 2013, with almost 800,000 records sold. In the US, sales have increased by 32% since 2012. However, despite these impressive figures, vinyl sales only represent 0.8% of the total music market at present. Yet the back-to-vinyl trend is also seen in the sales of record players: the Austrian manufacturer Pro-ject appears to have sold 100,000 record players last year (source: Pascal Nègre himself, head of Universal Music France, during the last HIFI Expo in Paris, September 2013). Will HD Music Become the New Standard? 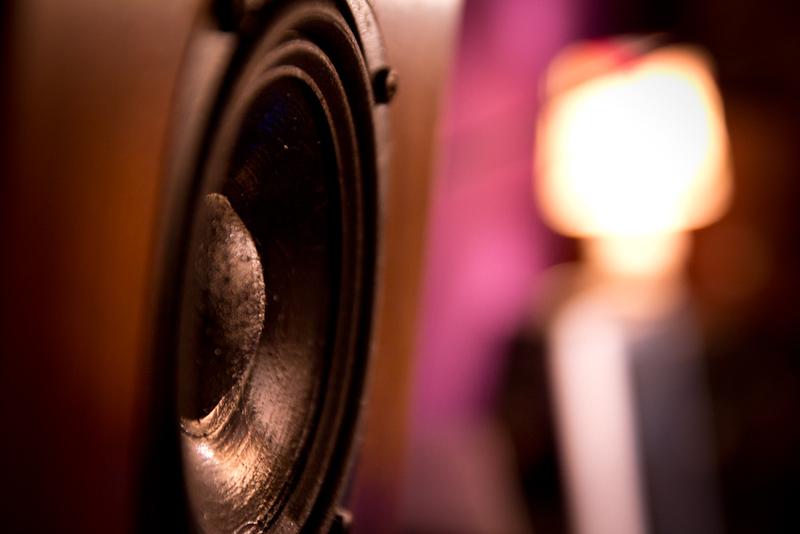 It is necessary to remind people that high definition (or Studio Master) are terms that strictly apply to descriptions of audio file quality. These digital file formats (e.g., the 24-bit Studio Master format) provide, at present, the best sound quality that can be perceived by the human ear. Given the bandwidth of internet providers, these files are not currently available via streaming; to listen to them, you must download them. To illustrate this, let’s take the example of a single song off of Daft Punk’s Get Lucky album—it is nearly 100 MB in size, which means that an entire album of Studio Master-quality songs requires 1–3 GB of hard drive space, depending on album length! I must admit that, once one has tasted this higher definition music, it is hard not to be seduced. In this respect, good news comes to us once again from Qobuz, which regularly offers HD files at attractive, reasonable prices (last August, Studio Master files were available at mp3 prices). They often have sales during which you can find Studio Master-quality albums starting at 10 €, which makes them only a few euros more expensive than CD-quality albums (i.e. in FLAC format); it is a tempting offer for those who regularly download music. I have listened to many HD-quality music files, and I can attest that, before you can really hear and appreciate the difference in sound quality as compared to a CD, you have to have good equipment. The quality of your DAC and your speakers is particularly important. If I use one of my starter sound systems, I really have to concentrate to tell the difference between HD- and CD-quality music. 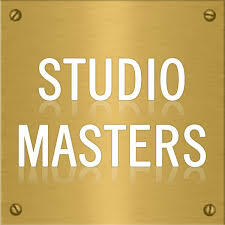 Another issue is that all Studio Master files are not created equal; as with CD files, the quality of Studio Master files depends on recording quality. Qobuz itself recognizes this problem and states that “the quality of a Studio Master file is dependent on the maximal quality of the materials to which a producer has access; as a result, file quality can vary from one album to the next depending on recording conditions.” As a result, when it comes to certain older recordings, the added value of the HD format is very limited or even non-existent. At the same time, I often have guests listen to some CDs imported from Japan or jazz sessions recorded in 1957 (and thus in analog format) whose quality is quite simply breathtaking. While Studio Master files undeniably represent a qualitative leap forward, it is important here as elsewhere to step back a bit and give equal consideration to the quality of the files and the quality of the material used to make them and record them. For those who don’t want to launch themselves into downloading so as to avoid file storage and network installation issues, Blu-Ray Pure Audio (which I have mentioned in a previous post) is currently the only physical format for HD music. At present, it presents limited choices since the catalog only contains 75 albums. I still think that there is a large disconnect between the standards of the audiophiles who would be interested in the format and the demands made of Blu-Ray players, which, for the moment, are largely conceived for use in home cinema systems. HIFI manufacturers are waiting for Blu-Ray Pure Audio to take off before developing this pricey technology, and music producers are almost certainly waiting for higher performance devices to emerge before expanding their offerings. This waiting game is rather risky; it has already resulted in the death of the SACD format. This entry was posted on 17/01/2014 by Aublanc in Untitled.